The inspiration for the name Ochna came from the flower of Tet, “Hoa Mai”. Literally, it means the flower of tomorrow, signaling a new start, a new beginning. I truly believe this is the new beginning for all of us, both patients and physicians. Our primary focus is you, the patient, and not the insurance companies or the government. It is like having a doctor in your family. Upon his graduation from the University of California, Los Angeles, he worked in the radiation field prior to starting medical school at the A.T. Still University of Health Sciences Kirksville College of Osteopathic Medicine in Missouri. The osteopathic principle of caring for the whole patient resonated well with him, leading him to a career in preventive care and family medicine. After completion of his training in Family Medicine at the University of Nebraska College of Medicine in Omaha, he was stationed at Lackland Air Force Base in San Antonio, Texas with the United States Air Force. He deployed to the Middle East as part of Operation Iraqi Freedom in 2007. At the end of his tour in 2008, he joined Baylor Scott & White Health in Pflugerville, Texas where he practiced until the formation of Ochna Health. Through his more than ten years of practicing Family Medicine, he has helped many patients get well, but found it more rewarding to help patients stay well. He wants to focus more on health care versus sick care as currently the preferred mode of health care delivery in the United States. It pains him to see patients pay a large amount to the insurance company, yet struggle to get care due to high deductibles. Some could not even afford insurance altogether. Despite spending the most money on “health care”, the United States lags behind most of the Western world in most health metrics. We have the most technologically-advanced and specialist-heavy system that is well suited for sick care but fares poorly in primary care. 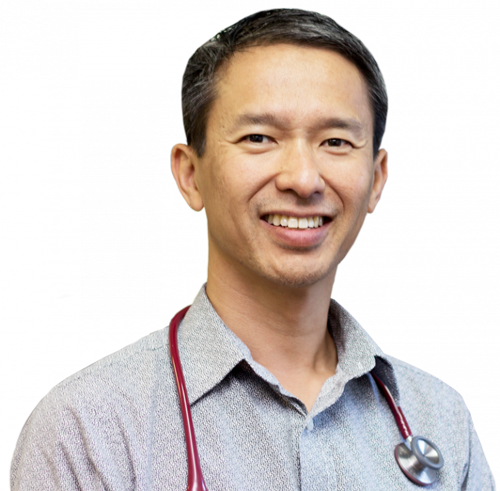 In forming Ochna Health, he seeks innovative ways to provide access to timely, high-quality, comprehensive, and personalized primary care to all. 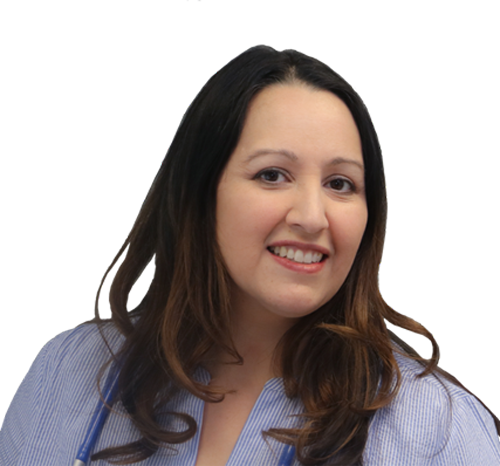 After her graduation from the University of California, Davis, Dr. Vega moved to Pennsylvania to study medicine at the Drexel University College of Medicine. She then returned home to California to pursue her passion in Family Medicine at the San Jose O’Connor Hospital Family Medicine Residency Program, where she graduated from in 2008. After a 4-year career at the Palo Alto Medical Foundation in Palo Alto, California, she moved to Texas and joined Baylor Scott & White Health shortly after. Excited by the Direct Primary Care model, she joined Ochna Health in September 2018, and we are excited to have her at the clinic. The setting allows her to truly care for her patients without worrying about administrative burdens or restrictions. No longer just focusing on sick care, she can now fully practice preventive care, the hallmark of Family Medicine. Her aims are to get you well, and keep you well. Fluent in Spanish, she is excited to be able to deliver her care to Spanish-speaking patients who find their health care options limited in the traditional health system.